Now they wait to find out their fate. 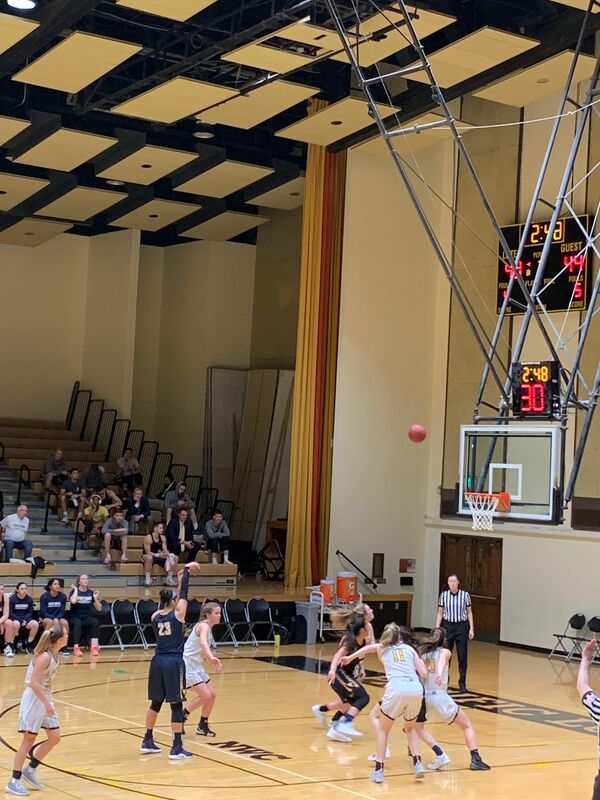 Swamped by too many turnovers and too many missed shots, especially from outside the paint, the Whitman College women’s basketball squad came up short Saturday in Newberg, OR. 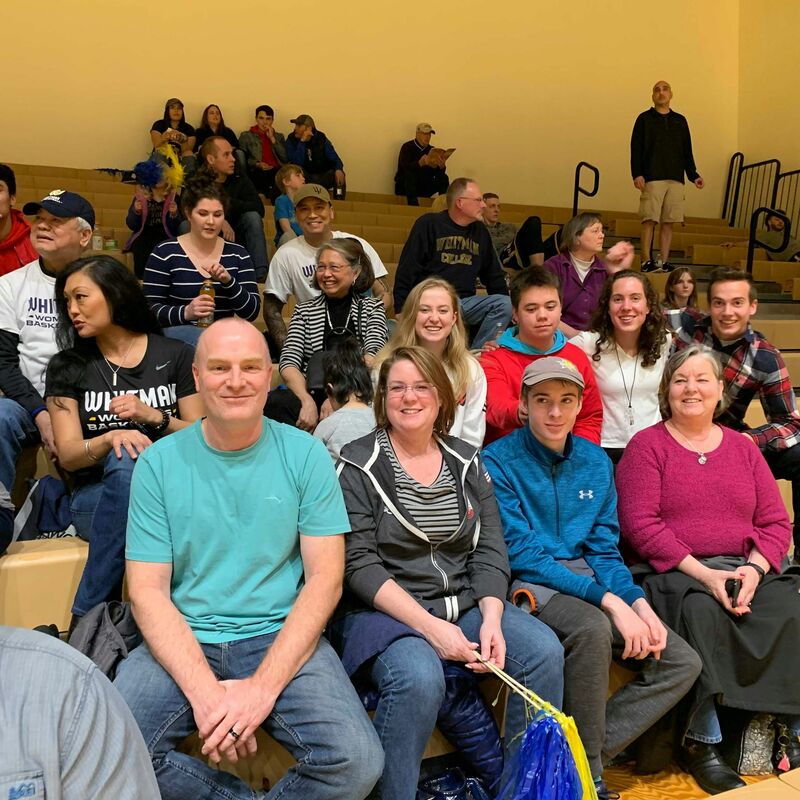 Falling 66-52 to host George Fox University in the championship game of the Northwest Conference postseason tourney, the Blues fell a win shy of earning an automatic bid to the NCAA D-III national championships. 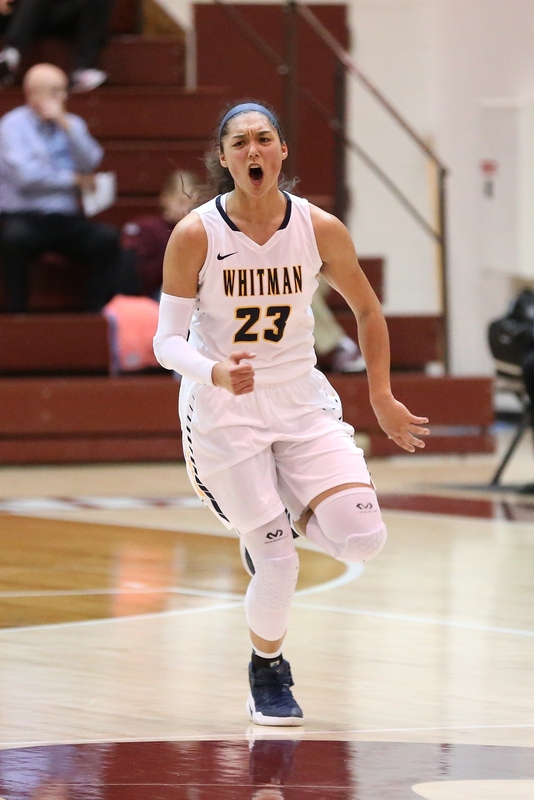 While George Fox (24-3) is definitely on its way to March Madness, Whitman (20-7) waits until the selection show Monday to find out if it gets in with at an-large bid. The Blues have a strong body of work to support their quest for an invite, including a 19-point win over George Fox earlier this season. Unfortunately, Whitman couldn’t repeat that victory Saturday, a game in which it got swarmed by an ultra-aggressive defense and buckled. In a contest where 10 different Bruins scored, Whitman essentially played 2-on-5 for much of the night. Senior Maegan Martin, who had never topped 20 in her college playing days, poured in a game-high 28, while Coupeville’s Makana Stone delivered with 10 points, 13 rebounds, three steals, and a big blocked shot. Whitman’s twin towers got little help from their teammates, however, with no one else scoring more than three points. In between a horrifying amount of turnovers (some forced, many not), the Blues hit on just 19 of 47 shots, including a crippling 6-21 in the first half. For the game, the #1 three point shooting team in the league went 0-9, while George Fox rattled home 7-19. Whitman came into the title game averaging 76 points a night, but started cold and never fully recovered. The Blues didn’t get their first bucket until two-and-a-half minutes in, when Mady Burdett knocked down a runner. It would be the only shot the First-Team All-Conference guard, who averages 15 points a game, would hit while being hounded relentlessly by platoons of Bruins. Down just 16-10 at the first break, Whitman suffered through a brutal second quarter, watching its deficit balloon out to 21 points shortly before halftime. Martin swished a pair of free throws, followed by Stone taking a steal coast-to-coast for a layup to end the half, but George Fox squashed every Whitman comeback hope in the second half. Down by 20, the Blues ended the third on a 9-0 surge, but the Bruins immediately answered to open the fourth. It was virtually the same seven minutes later, as Whitman, behind their interior one-two punch, closed to within 10 with a hair over three minutes to play. George Fox promptly came up court, ran the clock down, then drilled another three-ball to permanently ice the game. 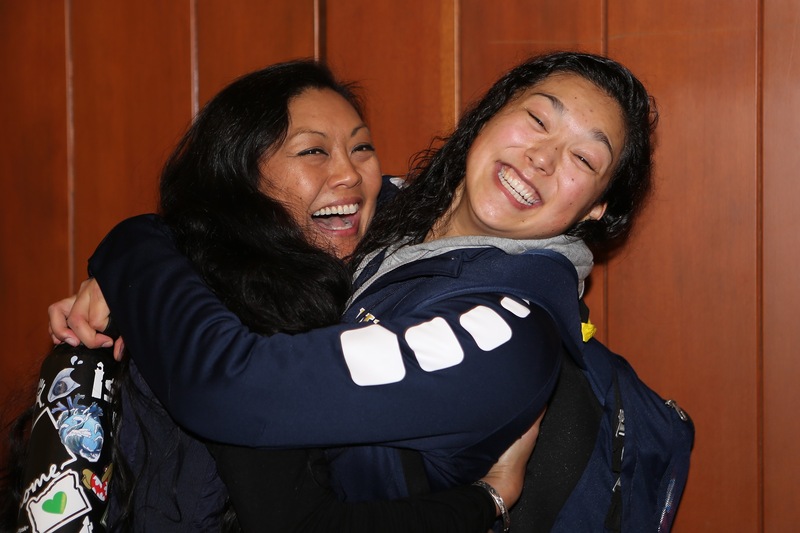 While she’s hoping for a trip to the NCAA tourney, Martin, Whitman’s lone senior, played what could be her final collegiate game with a vengeance. An Honorable Mention selection when the NWC picked its All-Conference teams last week, she has been a strong role player all four years. Martin’s career high entering Saturday’s game was 19 points, but she carried the Blues, hitting 11-18 from the field and 6-7 from the line. Stone dominated the boards, with her 13 rebounds coming in a game in which no other player, on either team, collected more than six. It was the 12th double-double for the former Wolf ace this season. As she waits for an NCAA bid, Stone sits with 388 points, 227 rebounds, 40 assists, 31 steals, and 21 blocks during her junior campaign. She’s hit 162-318 (50.9%) from the floor and 63-79 (79.7%) from the line. 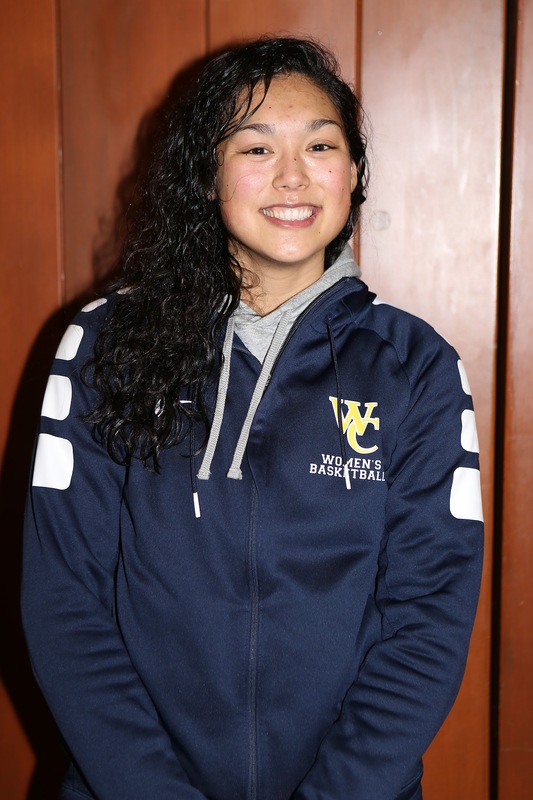 Coming off a season in which she was tabbed as a player of the week three times, Coupeville grad Makana Stone has been named a First-Team All-League pick for the second straight season by Northwest Conference women’s basketball coaches. 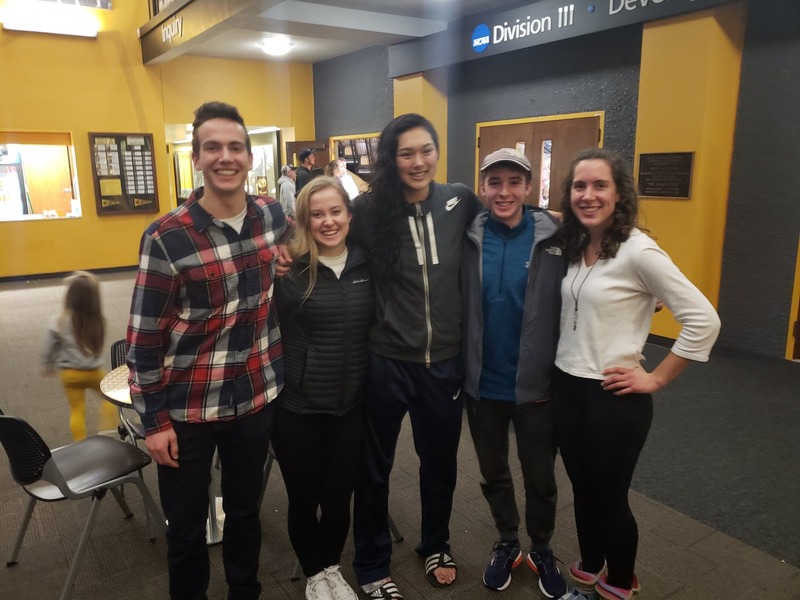 The Whitman College junior, who leads the Blues into the NWC tourney Thursday, was also honored after her sophomore season. 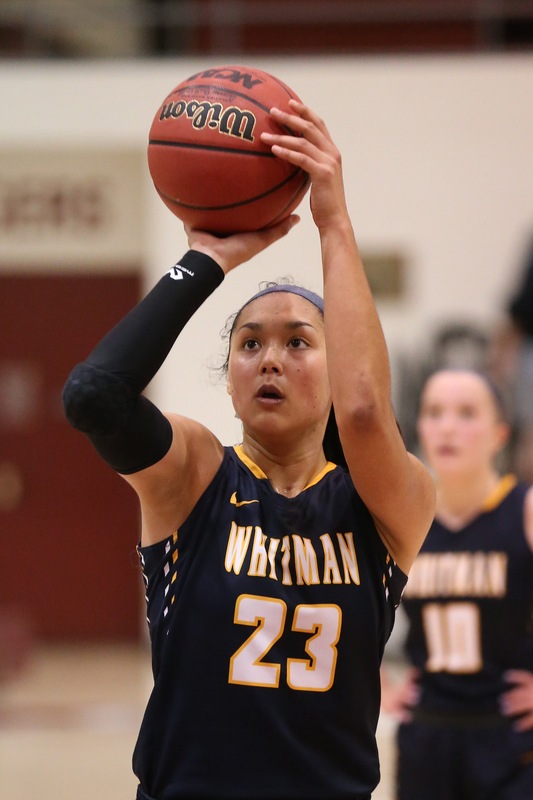 Stone is joined on the first team by Whitman junior guard Mady Burdett, as the Blues, who are 19-6 on the season, are one of two schools to land two players on the first unit. Jamie Lange, a junior post player from the University of Puget Sound, was picked as league MVP. Molly Danielson of Linfield, Emily Spencer of league champ George Fox, and Elizabeth Prewitt of UPS round out the first team. Stone and Lange are the only players to repeat from last year’s first team, while Spencer and Prewitt were on the second team in 2017-2018. Whitman’s lone senior, Maegan Martin, received Honorable Mention status. In addition to Lange’s MVP award, the other big winners were Delsie Johnson of Lewis & Clark (Freshman of the Year) and Michael Meek of George Fox (Coach of the Year). 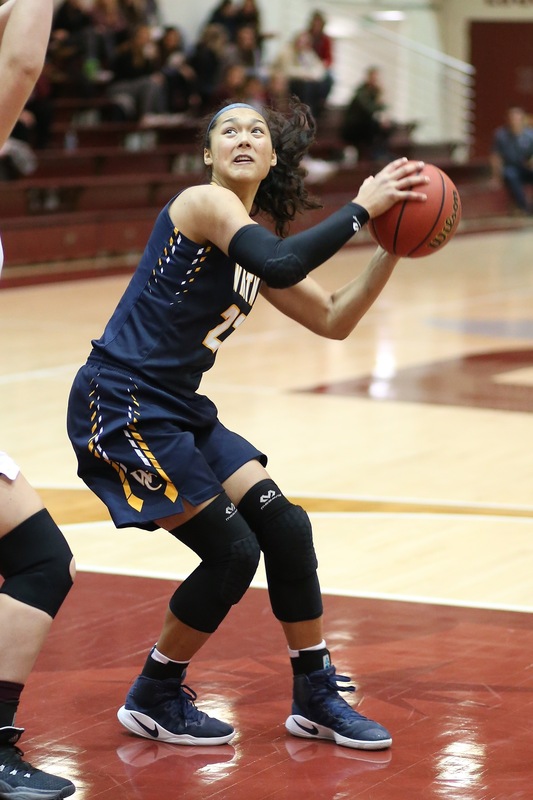 As she and her teammates head to what is hopefully a long postseason run, Stone sits with 356 points, 203 rebounds, 40 assists, 26 steals, and 18 blocks.